While developing Glass Jar I toyed with several looks for the icon. At one point my friend Dan Madden introduced me to a few amazing icons that were nearly photo-real and that conformed to Apple’s mandatory icon shape. I loved them! In fact I was such a fan I made one of my own, shown here. In the end it didn’t reduce well enough for me to use but I loved it in high res and thought I’d share it here. 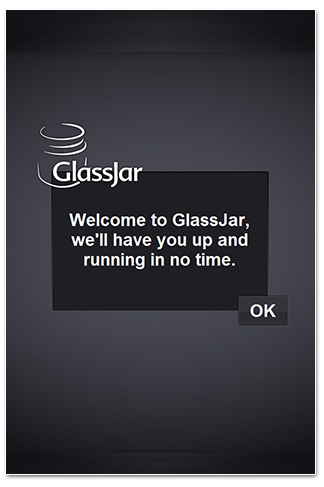 Glass Jar 1.0 is in the hands of the Apple review team. Hopefully we’ll be green-lit soon and then I can finally share this amazing tool with everyone. I’ve been using the release code for a few weeks and it’s been a huge upgrade to the old spread-sheet way of handling my finances that I’ve used for years. I already have a patch ready to go that radically improves performance and kills a few minor bugs. This 1.0.1 patch will be uploaded the moment we’re approved for release and will actually be what you’ll be getting. What I’m working on now is the 1.1 patch, the first update with added functionality. I won’t spill the beans on everything but I can say that big improvements to the day-info panel and to-do lists will be included; features my small team of beta-testers have been asking for. After that it will be on to 1.2. It’s exciting to me to say that I don’t know what will be in that version. By the time I’m ready to start on 1.2 the app will have been in your hands for a while and 1.2 will reflect your feedback. I have a huge list of features and functionality that I want to add but you might have other ideas that are better or more pressing so I’m just as excited as you are to find out what will find its way into 1.2 and beyond.